The days of unlimited speed on Germany’s famed autobahns are indisputably coming to an end – probably soon. And thank God! 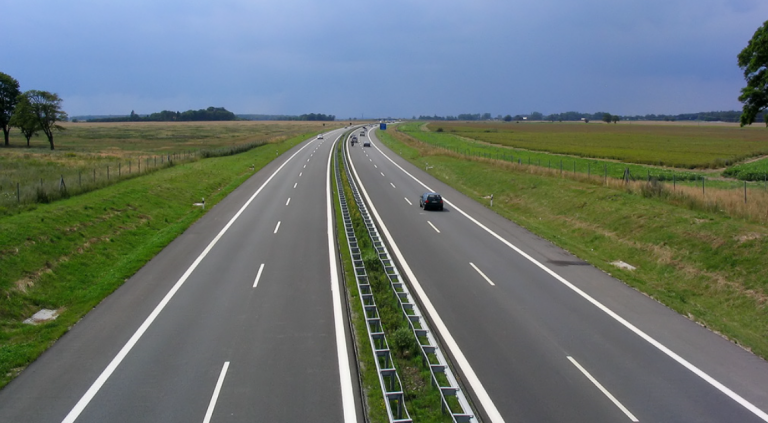 The online Mitteldeutche Zeitung MZ) here reports the Evangelical Church in Central Germany (EKM) is pushing to impose a speed limit on German autobahns, the motorways where drivers in certain stretches are free to drive as fast as they dare. Quoting Christian Fuhrmann of the EKM, the MZ reports that cars should she limited to 130 km/hr and the Church will mobilize to send a public petition to the German Bundestag. The MZ adds that the petition will be launched on Ash Wednesday and 50,000 signatures are needed. The Church’s main reason for limiting the speed of cars to 130 km/hr on the autobahn is to reduce greenhouse gas emissions and exhaust fumes, which the Church says would translate to an emissions reduction of 2 – 2.5%. Also the high speeds and associated braking leads to more fine particle emissions from tire abrasion on asphalt surfaces, as well as more noise. The MZ also reports that potential CO2 savings could be 2 million tonnes annually. Currently Germany emits some 900 million tonnes of CO2 equivalent gases annually. “We see a world responsibility for ourselves, assigned by God,” said state bishop Ilse Junkermann. Mankind is destroying the foundations of life. The fight against it is “a confession to the Creator”. Personally I support a 130 km/hr limit, but not because of the silly climate reasons. Overall a limit is far safer, and some studies show it would likely improve over traffic flow efficiency and help reduce long traffic jams, which often result from messy car accidents. In the end less traffic jams means reaching your destination just as quickly as you would madly driving at breakneck speeds. Also an autobahn speed limit could mean lower maintenance costs because the surface specifications for unevenness could be relaxed a bit. Any unevenness really becomes a factor when a vehicle is flying at 280 km/hr. With speeds at 130 km/hr, road crews would not have to be sent out to “repair” the road, which in turn means lane closures and again more traffic obstruction and slowdown. One compromise could be to tolerate speeds of 160 km/hr (100 mph) during times and areas of light traffic. That’s as fast as I want to go. I’ve gotten intrained up to about 140. When I notice that, I back off a little. I have made the comment before, this situation in Germany is somewhat peculiar. To attempt to “lead the world with reducing emmissions” and then have this freedom to travel at any speed does seem contradictory. Not saying burning fuel is necessarily a problem, just the stance is contradictory. I would go a little further (slower) and make the limit 120 km/hr. That’s 33.33 metres/second. Man’s sensing and reaction times haven’t improved. Whilst braking times have shortened they are still very significant in emergencies. Inertial force of 1,000 kg @ 33.33 m/s is still large and can’t be brought down – unless we get the AGW’s to pull their unscientific stunt on it. To make a real point, make it 80 km/h. That would push a lot of people into trains and buses, a CAGWarmist’s dream. One would think a church organization could find a more grandiose, life-promoting reason (safety?) for limiting vehicle speed than microscopically reducing the amount of petrol consumed. Actually, what will happen with imposed speed reduction laws is this: more petrol vehicles will consequently take to the autobahns. There are undoubtedly many drivers — especially those who know their limitations when it comes to avoiding 280 km/hr joy-ride racers — who have for a long time refused to drive the autobahns. With a speed limit and the associated “safer” driving environment, these heretofore cautious drivers will have the confidence to take to the roads. More drivers, more emissions confessions. Just stay in the right hand lane and there is no problem with the faster cars. When a driver loses control of his speeding car, all bets are off. Fortunately he didn’t hurt anyone else, …that time. According to this website, 4/5 of the Autobahn is already speed restricted, “usually to 130km/hr”). The most economic speed for a modern vehicle is around 90kph. Setting a speed limit at that value would dramatically reduce fuel consumption compared with no speed limit. For a carbon phobic country like Germany it is madness to not have speed limits on the autobahns. Applying a speed limit would actually reduce carbon based fuel consumption in contrast to erecting wind generators. My Hyundai Sonata is most efficient at about 110 kps (70mph). Below or above that, my MPG drops noticeably. That’s the problem with “one size fits all” solutions, they aren’t good for everyone. And, if it’s harmful for some, it is by definition harmful overall, and therefore the perfect Social Engineering “solution.” What’s a Social Engineer for, if he can’t optimize the pain?! Maybe they’ll copy the French yellow-vests if they are forced to endure too much more? Since, during the last glaciation, the earth’s atmosphere came close to a plant starvation level of Carbon Dioxide one might regard the release of Carbon Dioxide, from God given fossil fuels, as fighting for one of the key foundations of life. On I75 in FL the speed limit is 70 mph (~112kps), but often we go up to 80, or a bit more (~130 kps) quite safely. (some go noticeably faster). One thing I can tell you, though, unlike German drivers, we have sense enough to slow down for fog. Sometimes, the heavy fog bank is just over the hill and there’s little time to slow down. Clues like the brake lights coming on on cars ahead as they crest the hill are too easily missed. Fortunately, major crashes like that one aren’t frequent. (Linked report is from 2011, more than 7 years ago.) There are plenty of “pile-ups” due to other reasons. Only a tiny number are a result of de-restriction (//) being abused and driving at excessive speeds. Most Autobahn crashes are from below the speed limit in speed-restricted areas. FWIW: Even with de-restriction, the advisory speed “limit” is 130 km/h. Most of the free-flowing (car) traffic under good conditions moves at about that speed … up to about 160 to 160. If one is involved in a crash from a speed higher than 130, then one is assumed to be “at fault”. Yes, Bernd, all true. I was being perhaps overly snarky. But my main point was that driving at those speeds on roads designed to be driven safely at those speeds shouldn’t be a problem. And, yes, there are plenty of Americans who don’t slow down when they should. But for some reason we don’t have the crashes involving so many cars anywhere near as often as I seem to read about happening on the Autobahn.